35%OFFSALE *** MissManeater VANDALIZE tie side spliced boutique bikini pant *** SUPERLOW rise! THIS IS THE ONLY ONE WE HAVE/WILL EVER CREATE!!! This boutique bikini pant is a 100% #maneaterORIGINAL....& did we mention it is SUPER low rise! We have MIXED & MATCHED fabric in this style with the main body being CANDY PINK lycra with a NEON ORANGE lace overlay. The spliced side panels are SEE THROUGH with NEON ORANGE mesh panel details. With thin bind tie side detail in ORANGE with contract PINK stitching. This is the ONLY 1 we have.....in size SMALL. 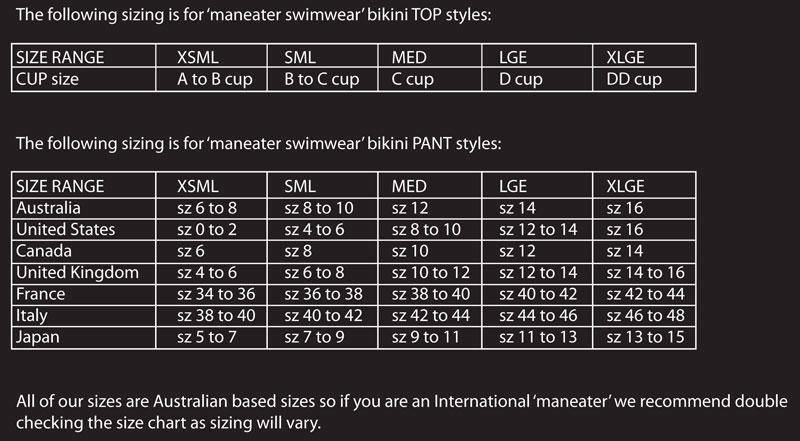 We are selling separately so you can MIXNMATCH this #maneaterSTYLE to any of our boutique bikini pants that you like.